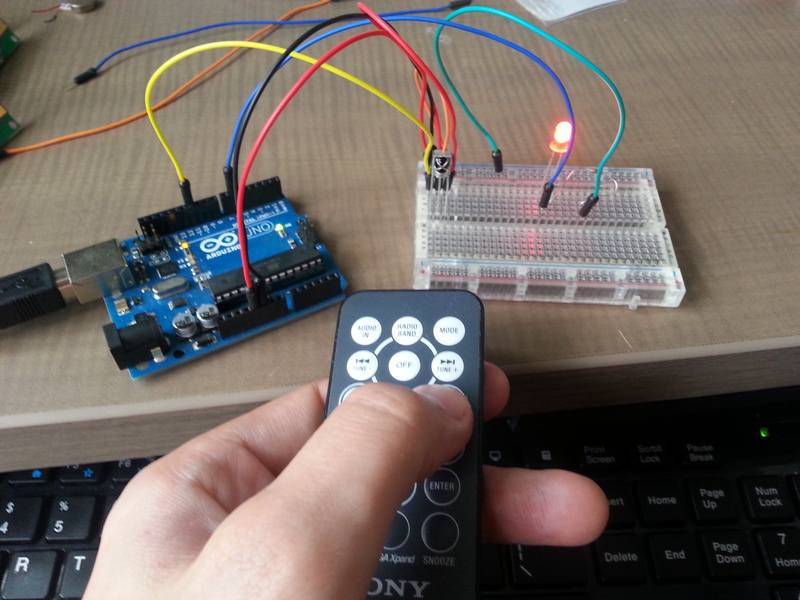 In this tutorial we will focus on using an infra-red receiver and an Arduino micro-controller to receive signals from any infra-red remote (such as your television remote). 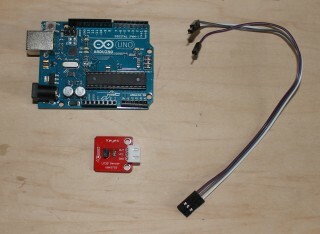 We can then program the Arduino to react in unique ways to specific button presses, such as turning on an LED. 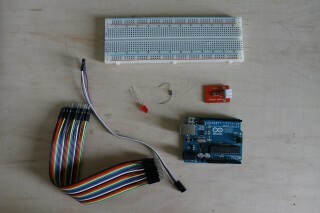 In the previous tutorial we learnt how to read an analog sensor and have the Arduino react to the sensors output. We measured the relative light level of the surroundings using an analog light sensor and used this to turn on an LED when it is dark. However this approach does not help us if we are trying to accurately measure a physical phenomenon like temperature. When using an analog temperature sensor we would like to know what temperature it is measuring and not what voltage it is outputting. In order to determine what temperature the sensor is actually measuring we need to map the voltage output by the sensor to the temperature that this represents. 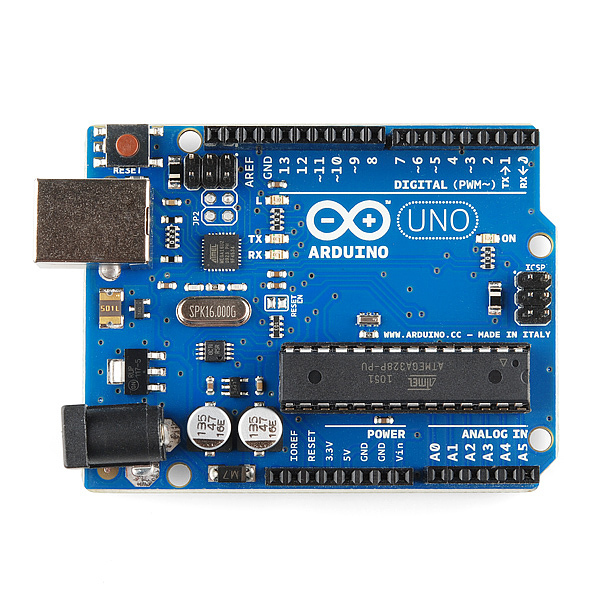 One of the great things about the Arduino microcontroller is that it can easily be made to react to its surroundings by using various different types of sensors. In this tutorial we will be focusing on using an analog light sensor to turn on an LED when it is dark and to turn it off when it is light. The tutorial is meant to teach you how to use an Arduino to read various analog sensor outputs and to then get your project to react to these inputs. The same basics instructions can be used for most analog sensors although some will need more tweaking if you want accurate measurements of the surroundings. 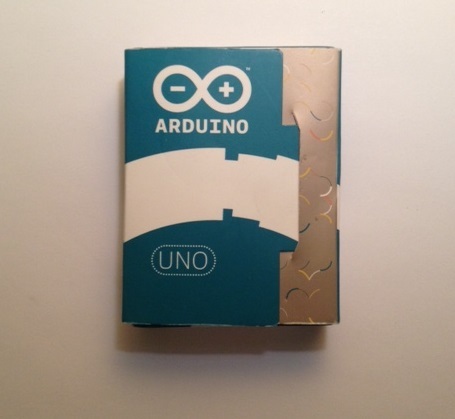 In this tutorial you will learn how to get your Arduino set up and running with Linux Via a Raspberry Pi.